We study the crossing equations in d = 3 for the four point function of two U(1) currents and two scalars including the presence of a parity violating term for the s-channel stress tensor exchange. We show the existence of a new tower of double trace operators in the t-channel whose presence is necessary for the crossing equation to be satisfied and determine the corresponding large spin parity violating OPE coefficients. Contrary to the parity even situation, we find that the parity odd s-channel light cone stress tensor block do not have logarithmic singularities. This implies that the parity odd term does not contribute to anomalous dimensions in the crossed channel at this order light cone expansion. We then study the constraints imposed by reflection positivity and crossing symmetry on such a four point function. We reproduce the previously known parity odd collider bounds through this analysis. The contribution of the parity violating term in the collider bound results from a square root branch cut present in the light cone block as opposed to a logarithmic cut in the parity even case, together with the application of the Cauchy-Schwarz inequality. I.R. Klebanov and A.M. Polyakov, AdS dual of the critical O(N) vector model, Phys. Lett. B 550 (2002) 213 [hep-th/0210114] [INSPIRE]. R.G. Leigh and A.C. Petkou, Holography of the N = 1 higher spin theory on AdS 4, JHEP 06 (2003) 011 [hep-th/0304217] [INSPIRE]. 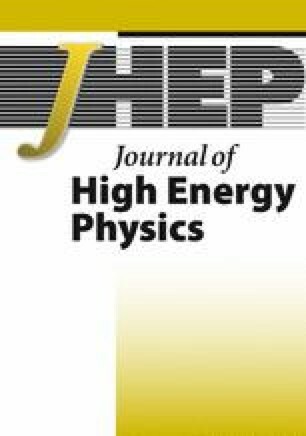 E. Sezgin and P. Sundell, Holography in 4D (super) higher spin theories and a test via cubic scalar couplings, JHEP 07 (2005) 044 [hep-th/0305040] [INSPIRE]. O. Aharony, O. Bergman, D.L. Jafferis and J.M. Maldacena, N = 6 superconformal Chern-Simons-matter theories, M 2-branes and their gravity duals, JHEP 10 (2008) 091 [arXiv:0806.1218] [INSPIRE]. O. Aharony, O. Bergman and D.L. Jafferis, Fractional M 2-branes, JHEP 11 (2008) 043 [arXiv:0807.4924] [INSPIRE]. S. Giombi, S. Minwalla, S. Prakash, S.P. Trivedi, S.R. Wadia and X. Yin, Chern-Simons Theory with Vector Fermion Matter, Eur. Phys. J. C 72 (2012) 2112 [arXiv:1110.4386] [INSPIRE]. D.M. Hofman and J.M. Maldacena, Conformal collider physics: Energy and charge correlations, JHEP 05 (2008) 012 [arXiv:0803.1467] [INSPIRE]. S.D. Chowdhury, J.R. David and S. Prakash, Constraints on parity violating conformal field theories in d = 3, JHEP 11 (2017) 171 [arXiv:1707.03007] [INSPIRE]. N. Afkhami-Jeddi, T. Hartman, S. Kundu and A. Tajdini, Shockwaves from the Operator Product Expansion, arXiv:1709.03597 [INSPIRE]. N. Afkhami-Jeddi, T. Hartman, S. Kundu and A. Tajdini, Einstein gravity 3-point functions from conformal field theory, JHEP 12 (2017) 049 [arXiv:1610.09378] [INSPIRE]. N. Afkhami-Jeddi, S. Kundu and A. Tajdini, A Bound on Massive Higher Spin Particles, arXiv:1811.01952 [INSPIRE]. D. Meltzer, Higher Spin ANEC and the Space of CFTs, arXiv:1811.01913 [INSPIRE]. D. Meltzer and E. Perlmutter, Beyond a = c: gravitational couplings to matter and the stress tensor OPE, JHEP 07 (2018) 157 [arXiv:1712.04861] [INSPIRE].